We all know that eating less meat is good for our health and good for the planet. Last year, the largest scientific analysis to date found that avoiding meat and dairy is the biggest single way you can reduce your negative impact on the environment. 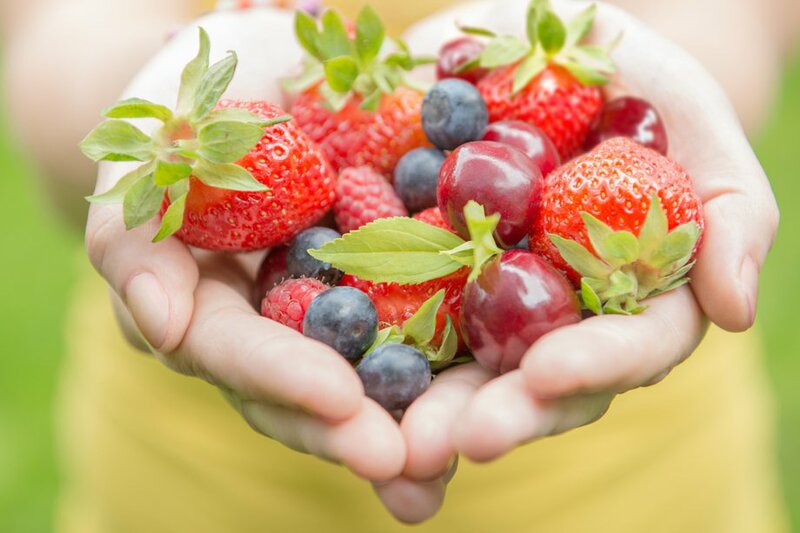 Perhaps you’ve decided to swap some of the meat out of your diet, or gone vegetarian or vegan, as many people have, in an effort to eat in a way that’s more sustainable. It’s commendable, but unfortunately, the truth isn’t always as black and white as it seems to be. The idea that a certain way of eating could be more sustainable and eco-friendly is certainly appealing, especially in the wake of the reports and news coverage about the catastrophic destruction we are doing to the planet. Veganism is often touted as the most effective answer for reducing CO2 emissions, however, it seems this brings a host of other problems in itself. The fact is, just because something is vegan doesn’t mean there’s not a big impact on the environment. Take almond milk, for example. A fridge staple for many vegans, it can be used as a dairy milk substitute in everything from porridge to tea, and the growing shelf space given to it in supermarkets is testament to its popularity. But what people don’t realise is the damage being done by plantations in California, where more than 80 percent of the world’s almonds come from. It takes nearly 7000 litres of water to produce one litre of almond milk, and California has been in severe drought for the best part of the last decade. Some tofu, a popular plant-based protein, is also far from innocent. Soy farming in Brazil is causing mass deforestation and destroying the country’s grasslands. Most of this farming is to produce feed for cattle, but still, it’s better to choose European tofu, which has a much smaller carbon footprint – some soy products from South America can have twice the carbon footprint of a chicken. Avocados, whose rise to fame is credited to their Instagram-friendly appearance, have been in such demand that Kenya earlier this year banned their exportation and Mexico, which supplies almost half of the planet’s avocados, last year was considering importing a supply to feed its own citizens, creating a crazy carbon loop! The country makes so much from exporting the fruit that illegal deforestation to make way for avocado plantations is now commonplace. The danger in simply saying certain ways of eating are better for the planet can lead to a very false sense of a box being ticked, a much more valuable approach is to think about everything more holistically. There is no blanket rule for sustainable food. Common sense says that a free-range, slow-grown chicken from the farm down the road would have less of a carbon footprint than fruit or vegetables flown half way across the world. It’s true that vegan foods that contain ingredients such as palm oil, which is devastating to forests, local communities and animals, are wreaking more havoc on the planet than locally-sourced eggs, for example. So is locally-sourced a good signifier for planet-friendly purchases? It seems it is, in most cases, although there are exceptions. It sounds strange, but it’s backed up by a DEFRA report, which found New Zealand lamb has a lower carbon footprint than British lamb because it is grown at such a low intensity, even when shipping to the UK is factored in. Kiwi lamb aside, choosing fruit and veg that’s in season means avoiding produce which has been air freighted or grown in heated greenhouses. An easy way to do this is to use a vegetable box service like Riverford, which sources in-season food from a network of farms. The company extends the vegetable growing season as far as it can using polytunnels but never uses artificial light or heat. Some commercially-produced vegetables are grown in glass hothouses which burn gas or oil, and for every kilo of tomatoes produced this way, two to three kilos of CO2 are released into the atmosphere. When the weather no longer allows them to be grown in this country, Riverford trucks the fruits over from Spain, which uses just a tenth of the carbon compared with growing them in the UK using heat. Another way to ensure better sustainability is to shop for organic food, which has a lesser carbon footprint, Organic farming means working with nature. It means higher levels of animal welfare, lower levels of pesticides and no manufactured herbicides or artificial fertilisers. It’s a more environmentally sustainable way to manage the land and natural environment, which means more wildlife and healthier soils. One final word of warning: next time you set off for the shops with your bags for life, confident you’re doing enough to offset your carbon footprint, remember this. You need to reuse a bag for life eight times before its footprint becomes lower than a normal carrier bag, and if you think your cotton tote lets you off the hook, make sure you use it 149 times! Some experts have said reusable, thicker plastic bags might be making the problem worse as there are now more in circulation than ever – so whatever you use, make sure you reuse it. Please Note: I was not paid or sponsored by Riverford in any way, I am just a big fan of what they do! Finally, there’s a travel mug that’s been designed with practical portability in mind. The rCUP won’t leak – ever! It keeps your drink hot or cold and you can pick it up without scalding your hand. You can easily open it and take a sip while you’re on the move with one hand. Even better – the drinking experience is great – you never have to drink your coffee through a tiny hole ever again. In late 2016 award winning Cornwall based eco-design company Ashortwalk were asked to develop ideas to turn used paper coffee cups into new products. At the time, a BBC campaign led by Hugh Fearnley-Whittingstall had successfully raised public awareness of the fact that only 0.4% of the disposable cups they used were actually being recycled. The tide had turned on our throwaway culture and people were demanding a more sustainable way to enjoy their coffee. What can be done with waste coffee cups? The reason why most paper cups aren’t recycled is because they have a plastic lining, which makes them difficult to recycle as paper.One of our polymer and recycling partners, Nextek had recently carried out a PHD on recycling used paper cups with Imperial College London. Rather than trying to seperate the paper from the liner they took the logical approach of recycling the whole cup. By cleaning and shredding the cup they found a clever way of blending the strong fibres of the cup to a recycled plastic polymer. We were then able to begin work on blending this polymer with other recycled materials to mould it into new useful products. 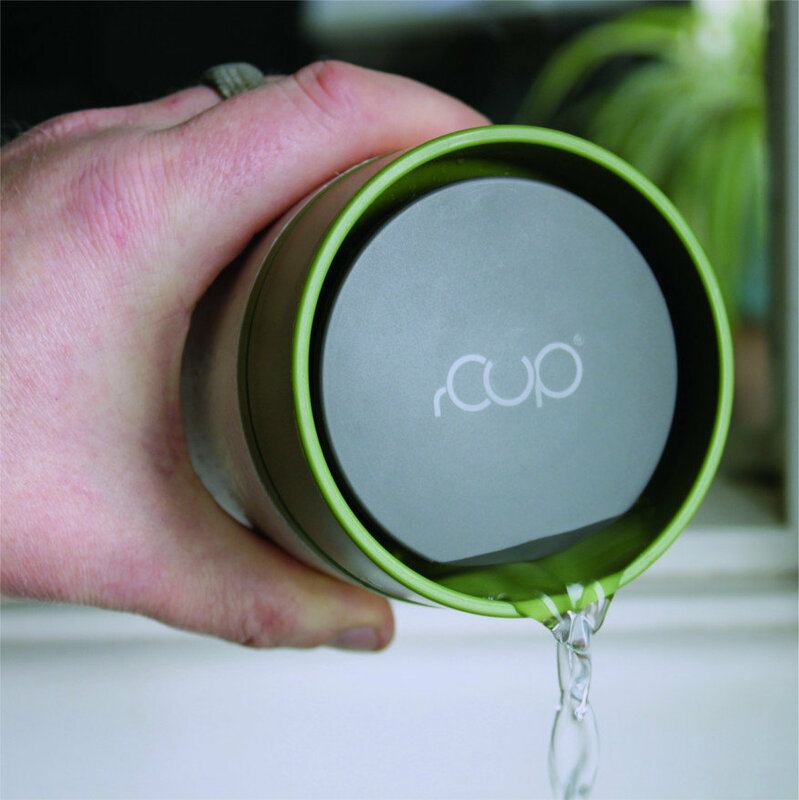 The rCUP reusable coffee cup was designed by the team of designers to be genuinely useful. They wanted the design to be functional anywhere and everywhere. Their cup is currently the only one that is made from the single use cups that are still being used in coffee shops and cafes every day. It’s all about the circular economy – by creating products from used cups they’ve stimulated the demand for the once worthless used paper cup. This demand increases the value of used paper cups, which enables recycling firms to invest in the infrastructure required to recycle them. In real terms discarded coffee cups have zero value – in fact it actually costs £100 a tonne to dispose of them. But when captured and collected these cups for recycling, the value increases to around £35 a tonne. If you then process them into a useful polymer the value shoots up to £1,200 a tonne. When this polymer is used to make a new product, say, an rCUP reusable cup, its intrinsic value becomes £20,000 a tonne! This is the huge value of closed loop product design. Please Note: I was not paid or asked to endorse this product and information in this post has been taken from the rCup website.